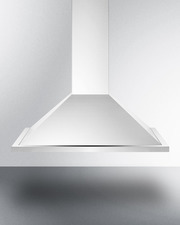 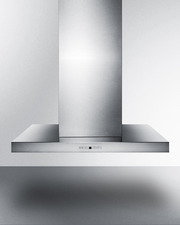 SUMMIT SEH5636G   is a 36" wide range hood with a 650 CFM blower. 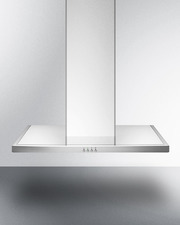 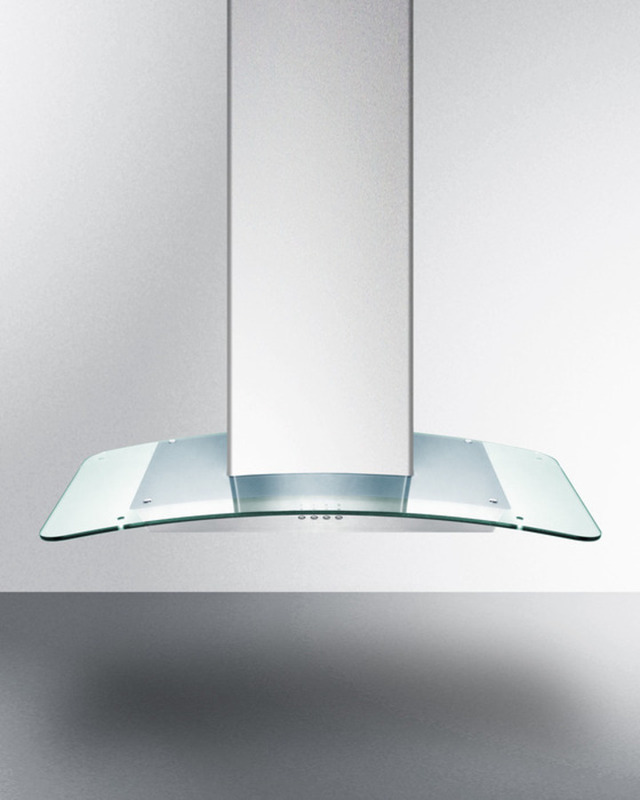 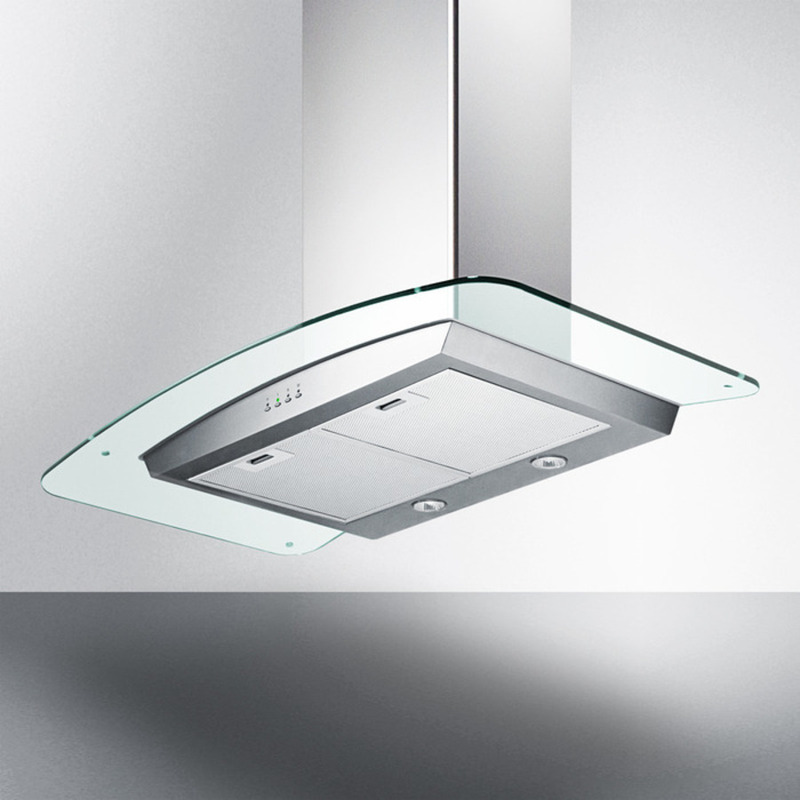 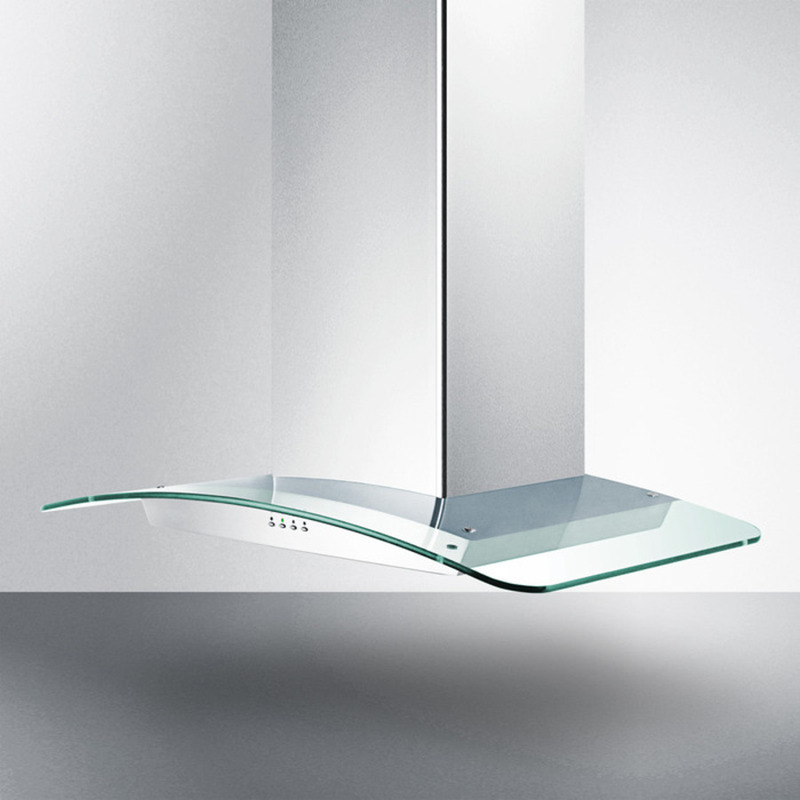 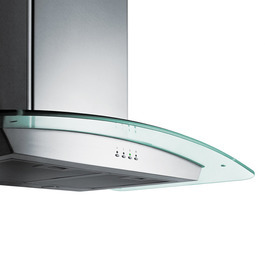 Constructed entirely from stainless steel, it offers a modern look with a tempered glass canopy and convenient flexibility with an adjustable chimney. 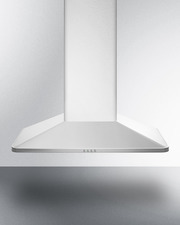 Two aluminum cassette filters provide a wide filtration area and are easy to clean in any dishwasher. 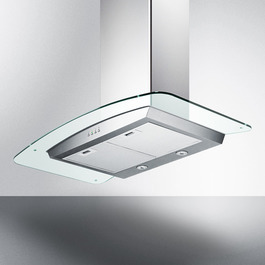 The 3-speed fan and 15 minute timer are operated with an intuitive touch controls. 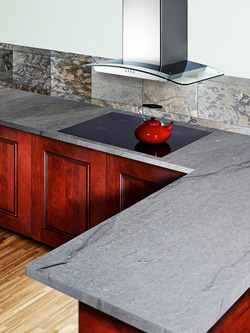 Two halogen light bulbs are pre-installed, offering an elegant illumination of your range. 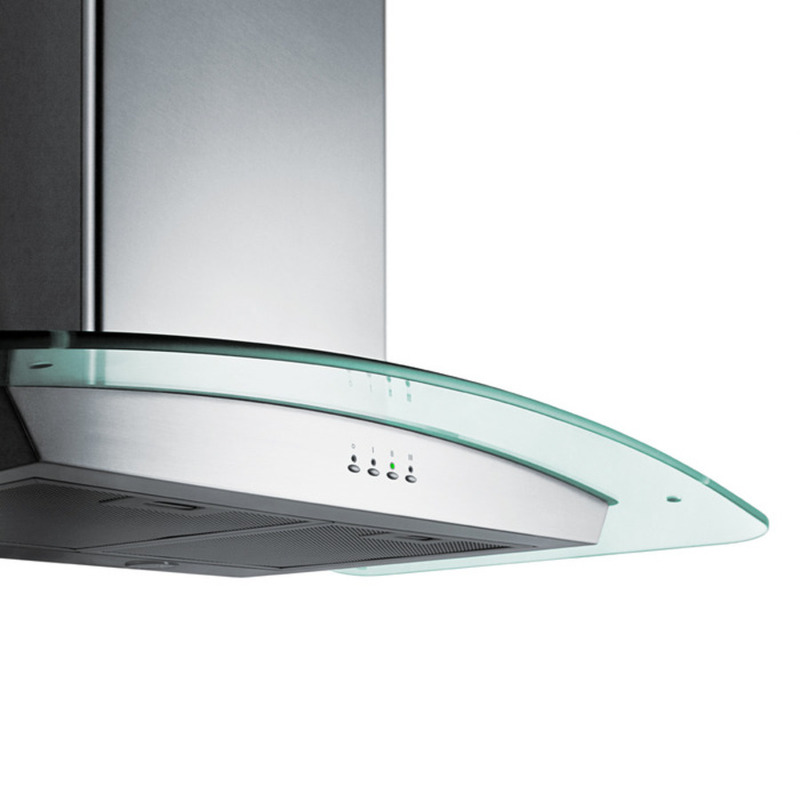 The SEH5636G is designed for ducted use, but may be converted to a ductless (recirculating) range hood when you order an optional charcoal filter set (SEHCF). 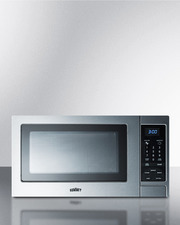 This model is manufactured in Europe and ships in one box.